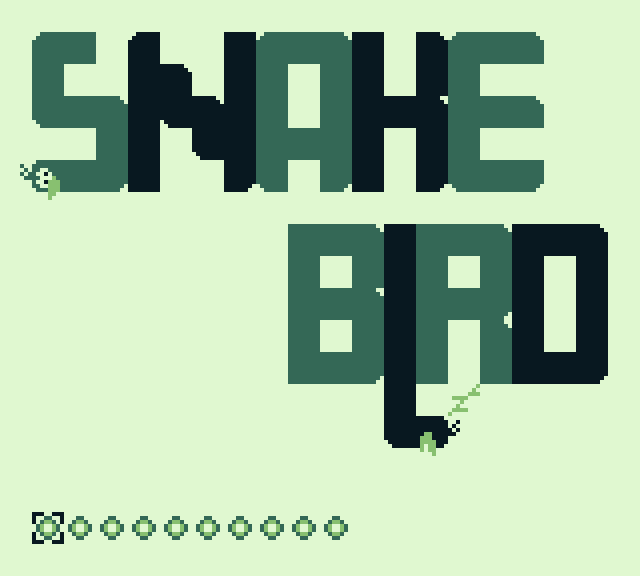 This is a Gameboy recreation / fangame of the amazing puzzle game Snakebird (go get it here! 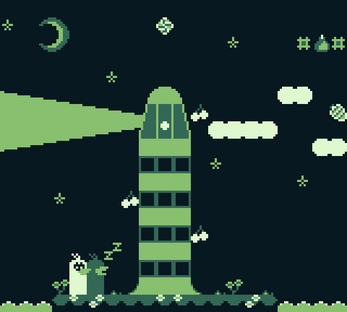 ), containing 10 all new levels. 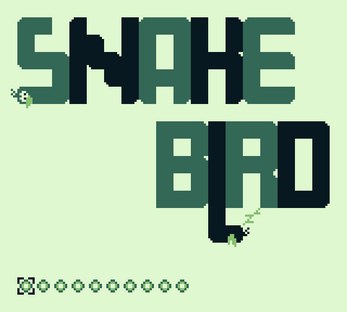 Your goal in each stage is to eat all the fruit to unlock the goal, then escape through the goal with all Snakebirds. 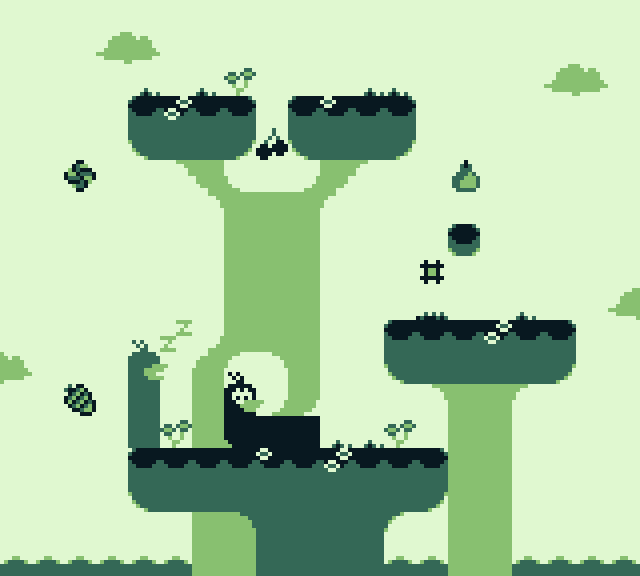 Eating a fruit will increase a Snakebird's length by one. Falling on spikes or off the screen will kill your Snakebird and you have to restart. Some levels can have movable objects, which can help you on your way. There are a couple minor gameplay changes compared to the original game: Movable objects must not fall off the screen, and there is NO undo feature (this is more cruel than it may sound at first, so be careful). A word of warning: This game has a very high difficulty curve, especially if you have not played the original game. However, all stages are selectable from the start, so you can always try your luck on a new challenge. Best played on an emulator? I beg to differ. Very nice version of the game, but also very hard! Thanks for the game, I love it! I have put it on cartridge and I am playing it since some weeks. It's true that it is hard (I have never played the original). The music is nice and the graphics are nice too. They are also clear enough so there is no problem to know what is going on on the small BW screen of the pocket. 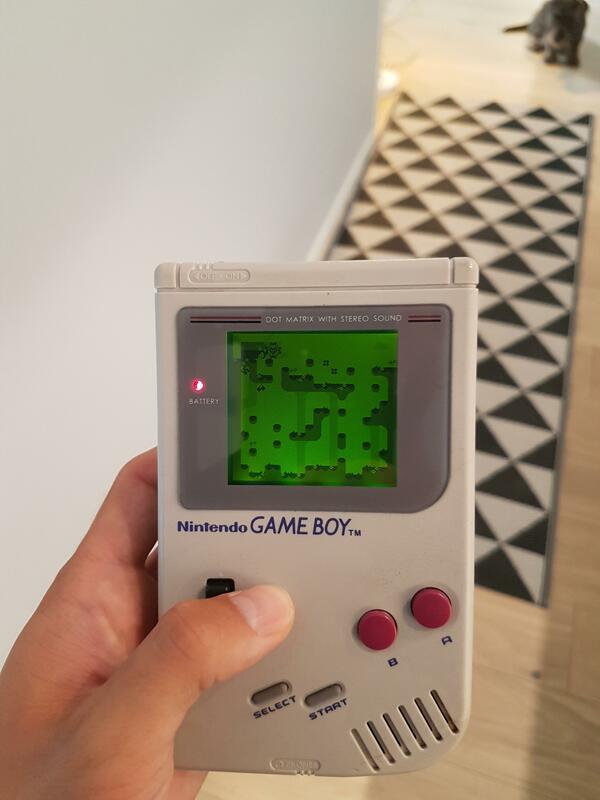 It's not the case for all the gameboy game.